A golf travel bag like you’ve never seen before. More expensive than others on the market. 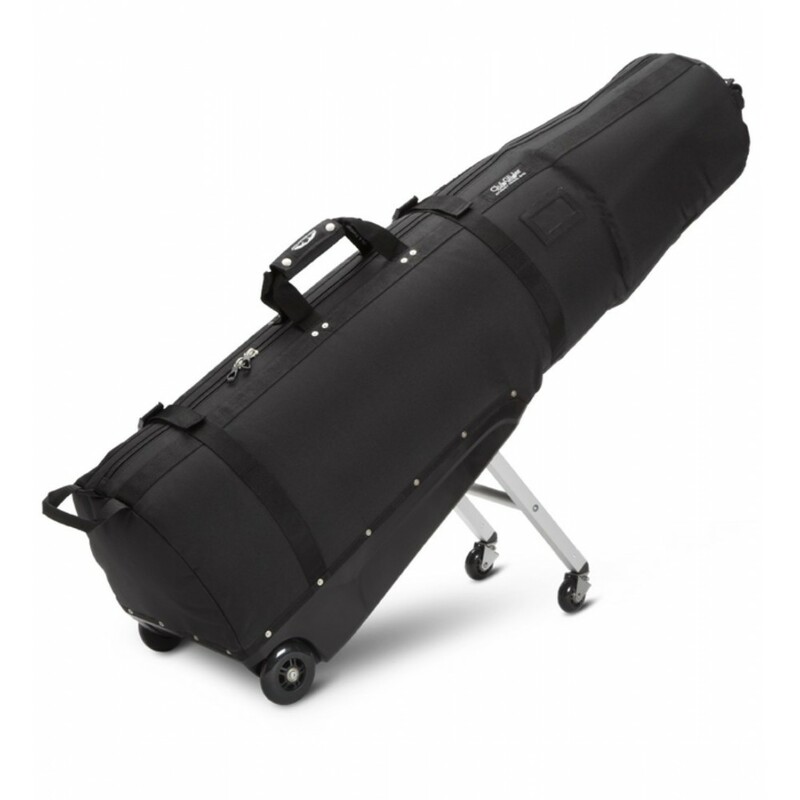 The SunMountain Club Glider Journey is a durable travel bag that looks like most others on the market, but comes with foldable legs that pull out from the base and makes the laborious task of getting through the airport with your clubs a breeze. The bag is made of a molded plastic base that houses the foldable wheels and a tough durable 1200 dernier material upper and surround. Closed by a full length heavy-duty dual way zipper, the bag features two external and three internal straps for extra support. It also features lots of padding in the top end so offers more than adequate protection for your precious clubs. Glider by name, glider by nature. The foldable legs are an ingenious addition to this travel bag, and in one quick movement, the bag will transform from two wheels to four. The foldable 360o castor wheels enable you to either push or pull with ease, which marks another nice touch. Once it comes to putting your bag on the belt, the wheels fold away in a simple, user-friendly motion. The bag will easily fit any mid-size golf bag and a pair of shoes in one of the inside pockets. 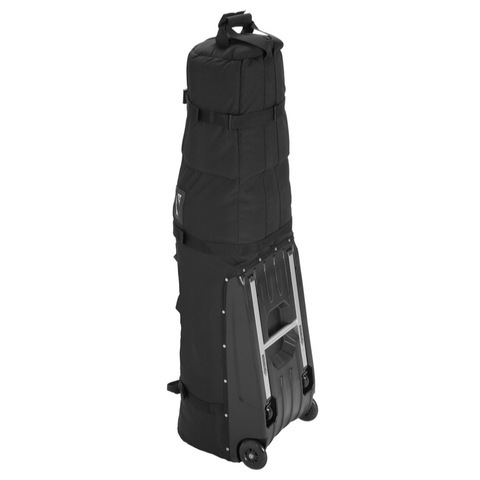 If you are looking to take a bigger cart bag then you can upgrade to one of the other models in the range (Tour or Meridan), which will give you an extra bit of space. Gone are the days of dragging your heavy clubs through a crowded terminal. The Sun Mountain Club Glider is by far the best travel bag on the market at the minute, and we could not have been more impressed by it. Easy to operate and as light as a feather, the Glider is an excellent choice for you jet-setting golfers. For more info on the full Sun Mountain range click here.